On Passover, Jews are commanded to tell the story of the Exodus and to see ourselves as having lived through that story, so that we may better learn how to live our lives today. The stories we tell our children shape what they believe to be possible—which is why at Passover, we must tell the stories of the women who played a crucial role in the Exodus narrative. The Book of Exodus, much like the Book of Genesis, opens in pervasive darkness. Genesis describes the earth as “unformed and void, with darkness over the surface of the deep.”1 In Exodus, darkness attends the accession of a new Pharaoh who feared the Israelites and so enslaved them. God alone lights the way out of the darkness in Genesis. But in Exodus, God has many partners, first among them, five brave women. These women had a vision leading out of the darkness shrouding their world. They were women of action, prepared to defy authority to make their vision a reality bathed in the light of the day. Retelling the heroic stories of Yocheved, Shifra, Puah, Miriam and Batya reminds our daughters that with vision and the courage to act, they can carry forward the tradition those intrepid women launched. While there is much light in today’s world, there remains in our universe disheartening darkness, inhumanity spawned by ignorance and hate. We see horrific examples in the Middle East, parts of Africa, and Ukraine. The Passover story recalls to all of us—women and men—that with vision and action we can join hands with others of like mind, kindling lights along paths leading out of the terrifying darkness. 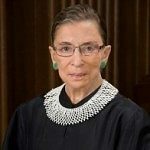 Ruth Bader Ginsburg is a Justice of the United States Supreme Court. Appointed by President William Jefferson Clinton in 1993, she is known as a strong voice for gender equality, the rights of workers, and separation between church and state. 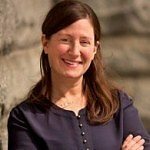 Rabbi Lauren Holtzblatt is a rabbi at Adas Israel Congregation in Washington, D.C.. She is co-creator of two nationally recognized community engagement projects—MakomDC and the Jewish Mindfulness Center of Washington. This essay is part of American Jewish World Service’s Chag v’Chesed (“Celebration and Compassion”) series. Written by prominent leaders, Chag v’Chesed draws on teachings from the holidays to inform our thinking about Judaism and social justice. AJWS is committed to a pluralistic view of Judaism and honors a broad spectrum of interpretation of our texts and traditions. The statements made and views expressed in this commentary are solely the responsibility of the author. To subscribe to Chag v’Chesed, please visit http://www.ajws.org/cvc. View all of AJWS’s Passover Resources at http://ajws.org/passover2015. Ruth Bader Ginsburg is a Supreme Court justice. To some, she is also a hipster folk hero known as the Notorious RBG. Now she can be part of your Passover seder.